An international research team led by Uppsala University has discovered that individuals buried in megalithic tombs in Ireland and Sweden during the Stone Age were relatives. 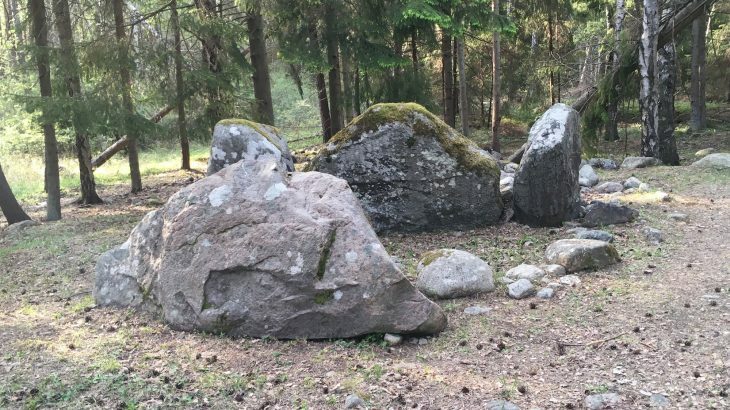 The families can be traced for more than ten generations, which indicates that megaliths were graves for kindred groups in northwestern Europe. Beginning around 4,500 BCE, megalithic monuments emerged along the Atlantic European shoreline that were often used for funeral practices. However, the social structure and origin of the groups that began constructing the stone monuments remains a mystery. For the current study, the researchers sequenced and analyzed the genomes of 24 individuals recovered at five megalithic burial sites, representing megalithic construction in northern and western Europe. By using radiocarbon-dating, the team traced the remains back to between 3,800 and 2,600 BCE. Genome sequencing revealed that the individuals in the megaliths were closely related to Neolithic farmers in northern and western Europe, but not closely related to farmers in central Europe. On the British Isles, the males in the tomb outnumbered the females. The genetic analysis showed close family ties among the individuals buried within the megaliths. In two particular tombs that were located about two kilometers away from each other, it appeared that parents were buried together with their offspring. “This came as a surprise. It appears as these Neolithic societies were tightly knit with very close kin relations across burial sites,” said co-author Federico Sanchez-Quinto. The Ansarve site on the island of Gotland in the Baltic Sea is located in an area that was home to mostly hunter-gathers. 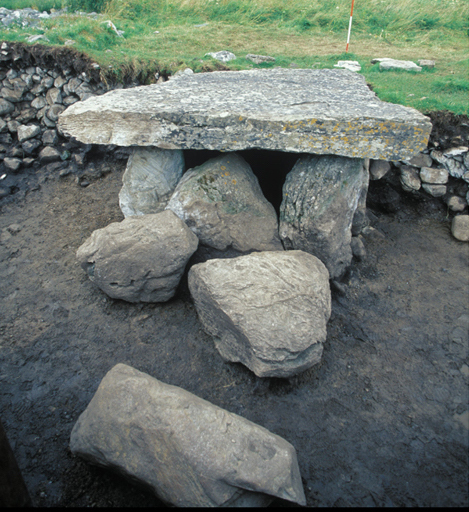 “The people buried in the Ansarve tomb are remarkably different on a genetic level compared to the contemporaneous individuals excavated from hunter-gather-contexts, showing that the burial tradition in this megalithic tomb, which lasted for over 700 years, was performed by distinct groups with roots in the European Neolithic expansion,” explained study co-author Magdalena Fraser. “That we find distinct paternal lineages among the people in the megaliths, an overrepresentation of males in some tombs, and the clear kindred relationships point to towards the individuals being part of a patrilineal segment of the society rather than representing a random sample from a larger Neolithic farmer community,” said study senior author Mattias Jakobsson. “Our study demonstrates the potential in archaeogenetics to not only reveal large-scale migrations, but also inform about Stone Age societies and the role of particular phenomena in those times such as the megalith phenomena,” concluded Sanchez-Quinto. The study is published in the Proceedings of the National Academy of Sciences.